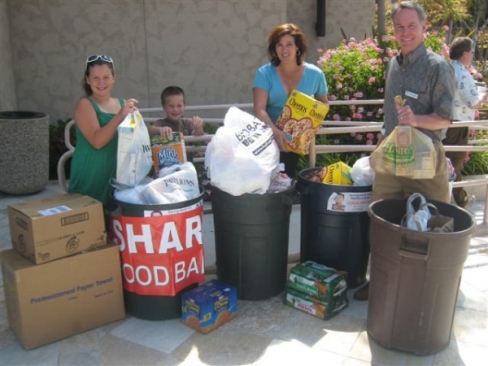 Mount of Olives Lutheran Church - The SHARE Ministry at Mount of Olives Church collects food donations monthly and serves at the Southwest Community Center once a month. Each summer, we participate in the backpack and school supply drive in support of South County Outreach. Drop off backpacks and school supply donations in barrels outside the Kid City & the Worship Center. Donations are distributed via South County Outreach to children in need in our community. Sign-up for food items by the Sunday before. Drop-off items to New Creation Center Kitchen by 10:30am on 4th Thursday. Drop-off non-perishable food in SHARE barrels on campus first Sunday each month before and after weekend services. Thank you! Through your generosity, you are the hands and feet of Christ to our community!